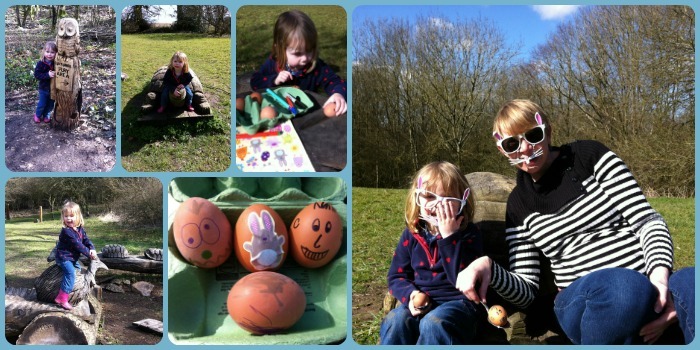 Carrying on our Easter family tradition that we started last year of playing egg games, we headed off to Tring Park this time with our eggs safely packed in the rucksack. With rain forecast for the rest of the Easter Bank Holiday weekend, we wanted to get out on Friday to make the most of the one day of sunshine! 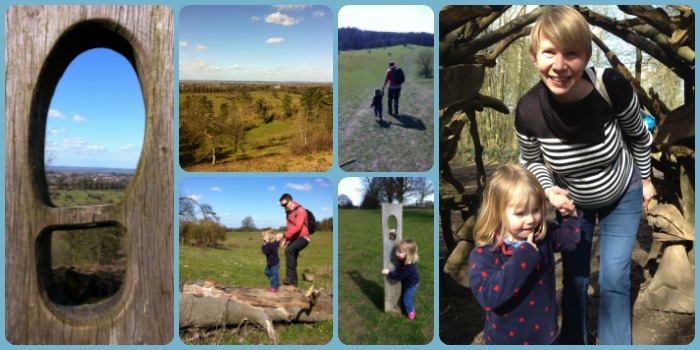 We really do enjoy walks in Tring Park so this is where we chose for our family walk. It really was a lovely day to be out for a walk, so nice not to have to be bundled up in coats and gloves etc. We wanted to head up to see the wooden animal sculptures in Tring Park again. We knew Little Miss A would enjoy playing on them again. On the route we chose to get up the hill, it was pretty muddy so we had to take it really steady but then it got easier. There's a clearer sign now with an owl scuplture which points to the Play Area. Little Miss A made a bee-line straight for the large turtle. She remembered it all from last time. 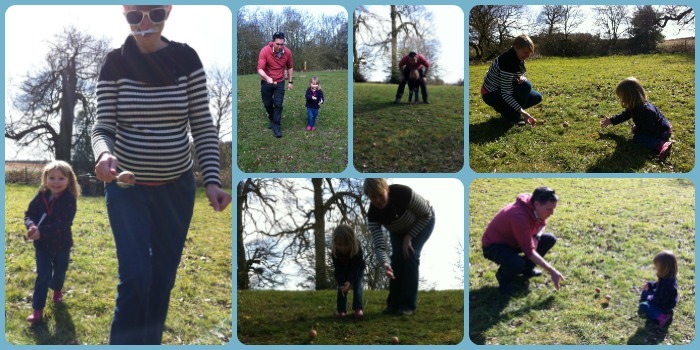 After a bit of a play, we had our picnic lunch sat at the toadstool table and then decided to do our egg games. We decorated our hard-boiled eggs and then first up were some egg & spoon races. It was great fun. Then we rolled the eggs down the hill to see whose would go the furthest before trying to roll the eggs at each other to crack them (much harder than it sounds!). Little Miss A did really well at rolling them. I'm so glad we've started this Easter family tradition. Next year we'll have another little one to join in the fun and games!